A key question for IT admins and DevOps engineers is how to integrate identity management with G Suite. The shift to cloud productivity platforms such as G Suite is one of the critical shifts in IT right now. While G Suite (and Microsoft Office 365 for that matter) are replacing the on-prem Microsoft solutions Exchange, Windows Server, and Office, there is a very real challenge of what to do with Microsoft Active Directory®. Many organizations are wondering if the cloud IAM feature for G Suite integration can eliminate the need for Active Directory. If we take a step back to understand how we got to this point in the IT market, it can help when thinking about how to move forward in the cloud identity management space. Almost two decades ago, the market was drastically different. Microsoft owned the enterprise and Windows was the platform of choice. The cloud didn’t really exist and the Internet was just coming of age. Microsoft brilliantly extended its monopoly on enterprise computing with the introduction of their directory service, Active Directory. AD tightly integrated with Windows platforms, Exchange, and Windows applications. Active Directory would go on to be the dominant player in the market. AD supported the Windows and Office franchises, and by using Windows and Office you were more likely to need AD. It was a symbiotic relationship and helped Microsoft grow significantly. Unfortunately for Microsoft, Google then introduced their hosted email service, which was the precursor to their corporate email hosting service. 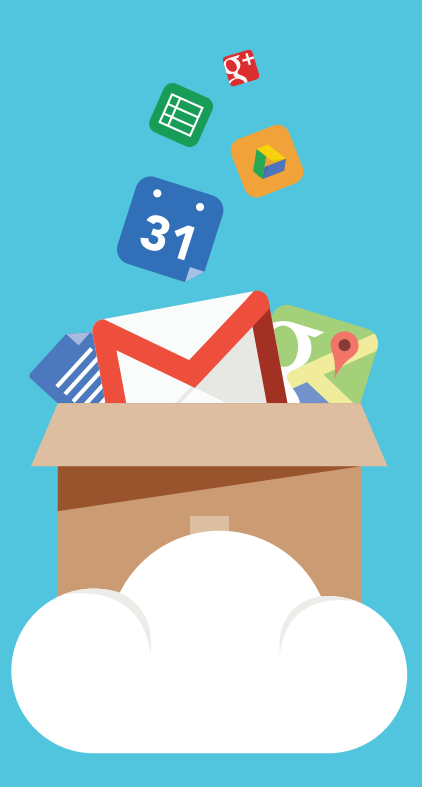 That became known as Google Apps (now known as G Suite) and it included a lightweight productivity suite to compete with Office. Over time, Google improved their productivity platform and service to make it extremely competitive. In fact, it became so competitive that Microsoft was forced to respond with their service Office 365. But, the damage had already been done. Over 5 million organizations were using G Suite. While G Suite was a boon to IT organizations, it still left identity management in the hands of Microsoft with Active Directory on-prem. It forced IT to have one foot in the cloud with G Suite and one foot on-prem with AD. IT admins wanted to shift completely to the cloud, but AD had a firm grip. Fortunately, a new generation of identity and access management solutions emerged. 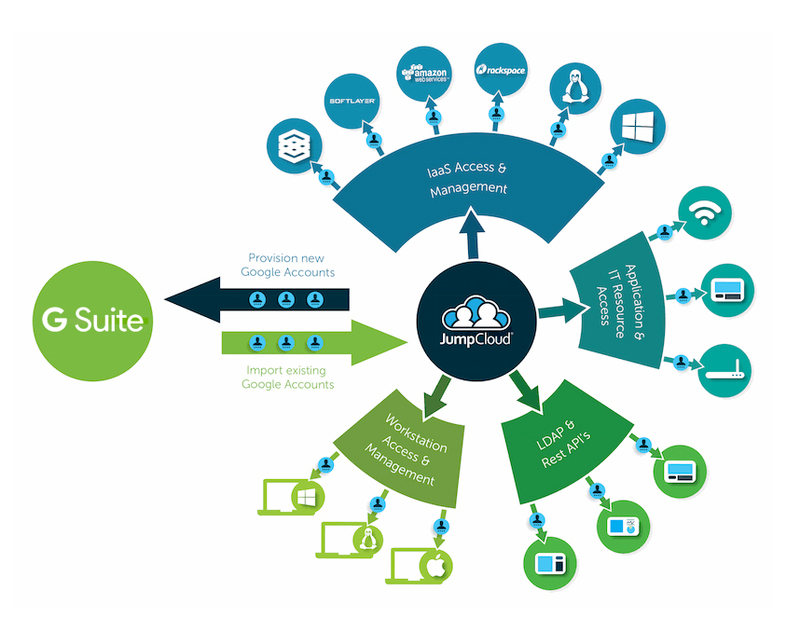 Artfully called cloud IAM, these platforms shifted to cloud identity management. With tight integration to G Suite, cloud IAM became an alternative to Active Directory and gave IT the option to fully move to the cloud that they had been searching for. The cloud IAM solution Directory-as-a-Service is more than just shifting Active Directory into the cloud. The modern cloud directory service is replacing Active Directory in modern organizations with a cross-platform, provider agnostic, and multi-protocol solution. 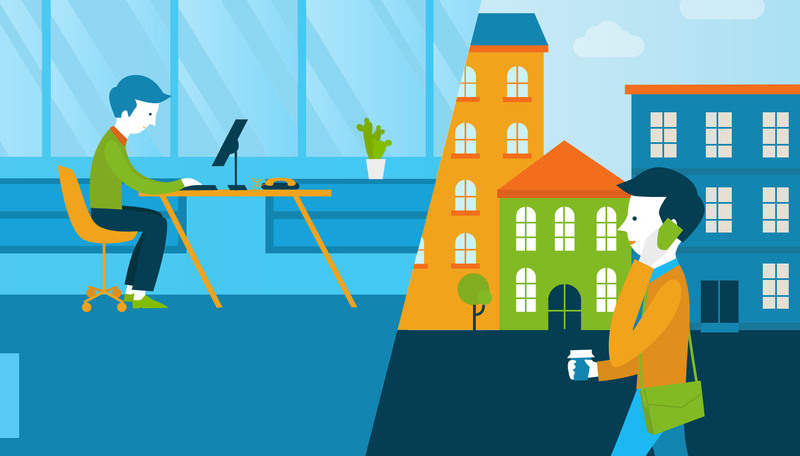 Delivered from the cloud and for both on-prem and cloud environments, Directory-as-a-Service securely manages and connects users with their IT resources including systems, applications, and networks. With tight integration to G Suite, this cloud IAM platform can enable IT to completely shift to the cloud. 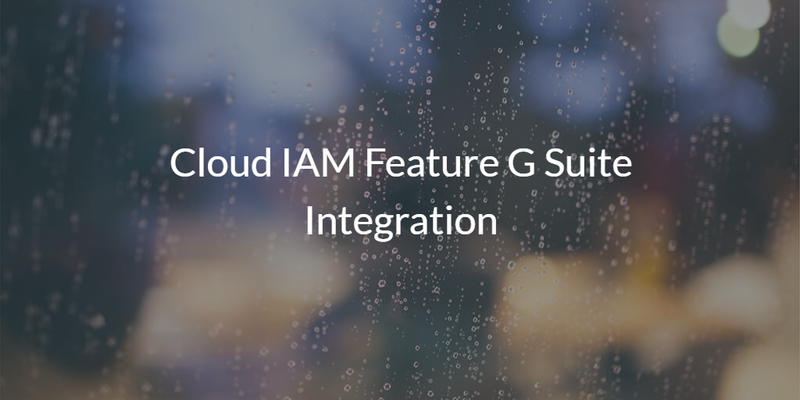 If you would like to learn more about how the cloud IAM feature G Suite integration can benefit your organization, drop us a note. Alternatively, sign-up for a cloud directory account and check out the cloud IAM / G Suite integration for yourself. Your first 10 users are free forever.